Trophy Room was originally known as Fritz. 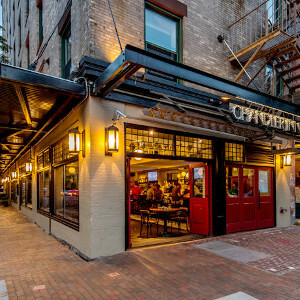 Located under The Alise Hotel (formerly known as the Chandler Inn), this bar is a gay "sports bar" with a wide selection of signature cocktails, as well as brunch and dinner menu options during certain times of the day. Its capacity has been severly reduced, and the venue has been mismanaged for the past year. Many members of the LGBTQ+ community have recently quit their jobs and cancelled their events here. This is one of my favorite bars in Boston I always bail on my friends at Club Cafe (when I can't handle the crowd anymore) to come here for a drink or 2 before I meet them outside CC at 2AM (or find them wandering down the street toward 711).